No doubt, Kindle has gained a lot of popularity in the Android market and it’s the best eReader available. Now, you can have this app for your Samsung Galaxy pop. Get access to over 900,000 books. Easily flick over the pages. Zoom when you find difficult to read something. Kindle provides you the best reading experience through your mobile. This eReader includes the newest and best sellers too. Most of the books are free and you have to pay for the rest of them. You can even synchronize the notes across multiple devices. Use Kindle and you will not need any other eReader for your mobile. 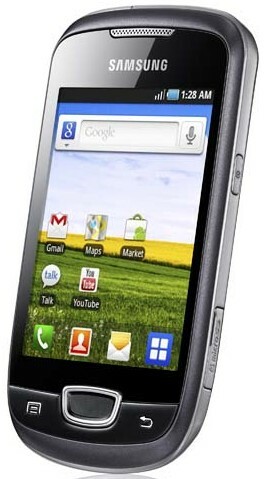 Samsung Galaxy pop is a release of its own style. All things look better in it but what does not is a keyboard buttons of it. Some people find it difficult to write from it and this app provides a solution for them. As you can see from its name, this app provides keyboard with big buttons in a portrait view on your screen. Although it cannot be called as perfect alternative but it is still the best solution available now. Yes, you have a moderate camera available in your Samsung Galaxy pop and you can add best effects to your pictures by using Retro Camera. Make your picture look best and give it a vintage look by using five different vintage effects. Moreover, you don’t have to close the app in order to share these pictures to your favorite social networks as you have this feature available with in this app. Retro Camera gives best look to your picture and if you want to give your pictures an artistic look, you must download it at once. You can see maps on your Samsung Galaxy pop with the help of Google Maps which is, no doubt, the best app for your phone. But if you want to use it, you must have a 3G or a Wi-Fi connection available. What if you don’t have one? This app is a solution for this problem. You can search the maps even when you are offline as it uses the OpenStreetMap project for it. Although the results are not 100% complete always but one best thing is that it’s free. Enter the mechanical world with Cordy. Cordy is a little robot and you’ll help him swing through obstacles and puzzles. Make cordy jump, smash, pull and push by tapping the screen of your phone. This game has gained so much popularity on Android phones. When you search a 3D game for Samsung Galaxy POP, you rarely find a free one. This game is free for its initial levels. Try this game.